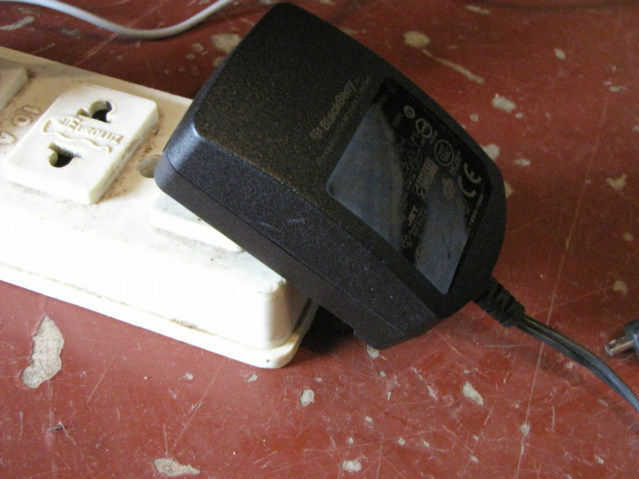 I have a 220-110 adapter on the power cord to my Blackberry Storm that will not stay plugged into my power cord. 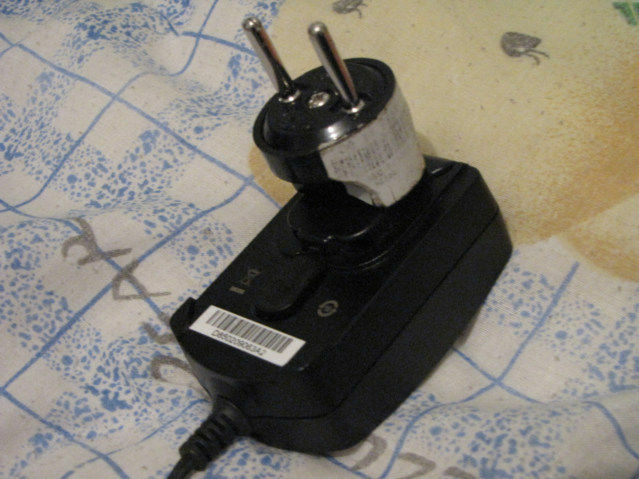 I cannot bend the two slotted electrical prongs to make wider or narrower, it just does not stay in the plug. It was becoming annoying, I was taping the crazy thing to my extension cord, and this is not an easy solution. Every location required me to work at getting a solid electrical connection. This is the hard plastic 220-110 adapter. 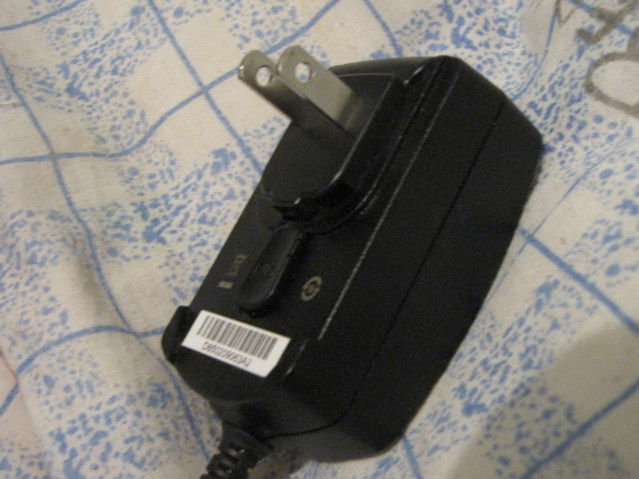 Picture showing it falling out of the plug, sometimes I would just prop something up under the end. 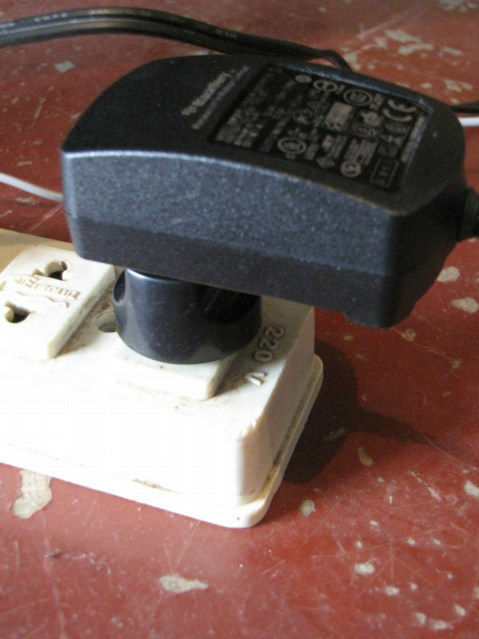 I added this little device that converts a slotted to a two prong round electrical plug and now it will stay in the plug. This is very low electrical current, if the BlackBerry required a lot of juice; I would not be doing this because these adapters heat up. Now the 220-110 adapter stays plugged in only by adding a simple extension that I already had and need to carry.